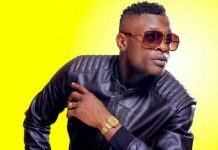 Europe-based Ugandan music promoter Eddy Messiah (Lutaaya Edwin) has revealed that Chameleone has canceled his involvement in a show that’s to be held in the Netherlands this weekend, because he is unhappy with the size of his image they put on the flyer advertising the show. 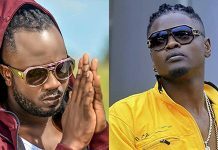 Fuming like a wounded buffalo, Eddy Messiah said in a video he posted on Youtube that it is very unfortunate for them as organisers of the event, for Chameleone to cancel his involvement in the show over ‘small’ issues that don’t make much sense. 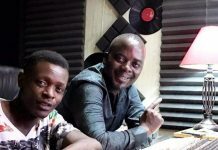 Eddy Messiah explained the controversy: “DJ Erycom, who will be spinning the discs at the event, made the posters and flyers of the event, and he put his image as the largest, followed by David Lutalo’s, then Chameleone’s. 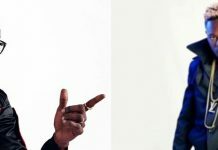 “When Chameleone saw the posters and flyers with his image smaller than those of Erycom and Lutalo, he cut wires and said he had pulled out of the event. He first said he wants us to make new posters and flyers which show him alone, and when we promised him to run those posters and flyers alongside the old ones he said that can’t be the case, he said he was puling out of the event. He said he is bigger than Lutaalo and Erycom and if anything should be alone on the flyer. “The terrible thing is we had paid him the ticket money and half of his performance fee. We are now going to make losses just because of his being unpredictable and not respecting people. “But let him not think we are fools, we shall take our revenge anytime we find him anywhere in Europe. 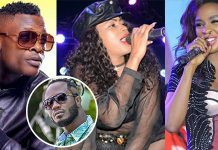 We make our money the hard way in snow, he can’t joke with it like that,” Eddy Messiah vowed. 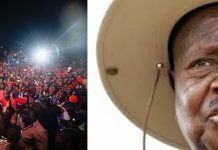 Chameleone’s phone numbers were off so we were not ble to get him commenting on the issue.